(CNS): A 28-year-old man was arrested earlier today (Friday 12 March) for Tuesday’s attack and attempted robbery of a crewmember of the US Coast Guard cutter Bear, which was visiting the Cayman Islands. 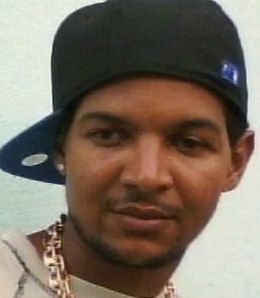 Police said that at about 2:10 am on Tuesday 9 March, a man allegedly struck the 21-year-old American sailor on the face in North Church Street, George Town, and demanded cash. According to police, the victim fell to the ground and his friend yelled at the assailant, who then jumped into a dark coloured Jeep Cherokee and sped off empty handed. The victim sustained head injuries and was detained in hospital overnight. 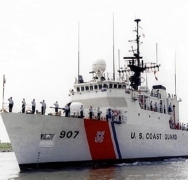 CNS understands that the victim and his companion, who are serving aboard the USCG ship, were not wearing uniform at the time as they were enjoying an evening’s shore leave. The vessel left Grand Cayman Tuesday 9 March. RCIPS officers arrested the suspect for attempted robbery following an operation in the Bodden Town area. He is now in police custody and enquiries are ongoing. 949-4222 or Crime Stoppers 800-8477 (TIPS). (CNS): The Queen’s Baton and symbol of the Commonwealth Games will arrive in the Cayman Islands later this month as part of its epic journey to the host city of Delhi in India before the games begin in October. The baton also carries a message to the athletes from Buckingham Palace which will be delivered at the opening ceremony for the Games. The baton relay is a curtain raiser for the games which was first introduced at the Cardiff 1958 Commonwealth Games in Wales. Since then it has become a much loved games tradition generating excitement and building anticipation across the Commonwealth. Donald McLean, the President of the Cayman Islands National Olympic Committee which represents the Commonwealth Games Federation in the Cayman Islands said he is delighted the Cayman Islands will be hosting the baton. “The Cayman Islands leg of the relay has the potential to be watched by millions of people from all over the world, thanks to the baton’s interactive web based technologies and the media attention it is expected to generate. Our involvement in this exciting event provides the entire community with the opportunity to highlight and promote our Islands to the rest of the world,” he said. McLean explained that Cayman will be the forty fourth country of the list of 71 to be visited. The Queen’s Baton Relay 2010 Delhi is one of the longest relays in history travelling 190,000 kilometres over a 340 day period. 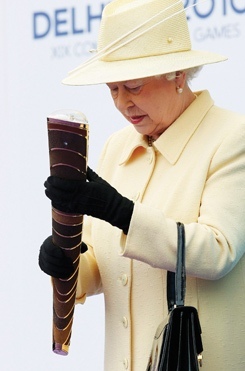 The baton containing the Queen’s message left Buckingham Palace on Thursday 29 October 2009, to traverse the length and breadth of the Commonwealth for 240 days visiting all of the other 70 Commonwealth nations, before entering India. The baton will then continue its journey throughout India for another 100 days, making its way to the Opening Ceremony of the XIX Commonwealth Games 2010 Delhi to be held on 3 October 2010. During the ceremony, the final Baton bearer will hand the baton back to Her Majesty, or Her representative, the message is then removed and read aloud, officially opening the Games. The international sector for the Queen’s Baton Relay 2010 Delhi is a joint initiative of the Organising Committee Commonwealth Games 2010 Delhi in partnership with the Commonwealth Games Federation and locally with the Cayman Islands Olympic Committee. (CNS): The attorney general has said that people serving on government and statutory boards in the Cayman Islands should be paying close attention to potential conflicts of interest as a result of the implementation of the anti-corruption law. Samuel Bulgin said the new law will have a very significant impact, not just on public officials, but also those in the private sector and general public that work or engage with public officials. The Law covers a range of offences from bribery of public officers and members of the Legislative Assembly, frauds on government, contractors subscribing to election funds, breach of trust by public officials and members of the Legislative Assembly, abuse of office, bribing foreign public officials and conflict of interest among others. The Law covers public offices from justices of the peace, to members of the Legislative Assembly and Cabinet. It also covers those serving on boards, authorities, tribunals and commissions of enquiry, as well as Jurors. The country’s top lawyer stated that the law was of particular relevance to those who have volunteered to serve on boards and tribunals with regard to the concept of “conflict of interest”, which is covered in the Law. The Law mandates that where a government entity of which a public officer or MLA is a member, director, or employee, proposes to deal with a company or partnership, and where the public officer, MLA or a member of the family or an associate of such persons has any interests, direct or indirect, and holds more than ten per cent of the total issued share capital or total equity participation in such company or partnership or similar entity the public officer, or MLA shall forthwith make a written disclosure to the relevant government entity of the nature of such interest. “Any public officer or MLA who fails to disclose an interest as stipulated by the Law and who proceeded to vote or otherwise takes part in the proceedings of the entity relating to such interest commits and offence and could face prison time of up to five years if convicted,” Bulgin explained. He said in instances where public officers and others are in doubt it is advisable to seek legal advice or simply recuse themselves from the proceedings. Following the recent announcement that the Anti-corruption Commission has been appointed, the AG urged everyone who does business with government and public bodies tog et a copy and acquaint themselves with the provisions of the law. Bulgin also stated that the Anti-corruption Commission will be embarking on a public awareness campaign to sensitise the public more fully on the various provisions of the Law and the role of the Commission in the near future. (CNS): While break-ins are no longer making the news these days as they have become almost everyday events, one couple living on Seven Mile Beach told CNS they were shocked when a burglar broke into their condo and stole a number of valuables from right under their noses as they both slept. While the gang crime maybe stealing the headlines, this theft still stole the victim’s peace of mind. The couple who live in the Lizard Run area said they woke up on Thursday morning to find the window open and a number of possessions gone along with cash and some medication. As a result the couple said they have now installed a new security system. The couple said aside from the cash and medication the burglar made off with a silver ‘The Sak’ purse and a pink Coach change-purse. They had called the police who dusted for prints and found more than one set. 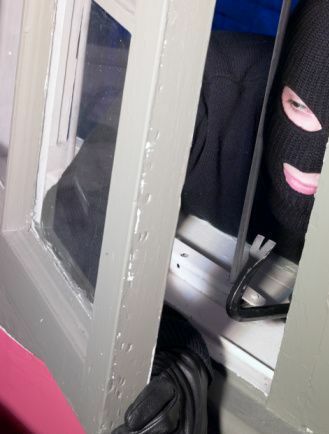 The audacity of the burglar however, has unnerved the couple who said they took immediate action that day and have now installed a security system. At a recent crime prevention road show, the police teamed up with local security firms to spread the word about putting a stop to such opportunistic burglaries. Security experts all agree that this is exactly the kind of crime that can be prevented with an inexpensive alarm system. Brennan said while alarms or any other measure can never stop criminals from trying having a system means your home will be less likely to be a target. (CNS): Some two months after tests were submitted to the Caribbean Epidemiology Centre (CAREC) in Trinidad, health officials have now confirmed three suspect cases of dengue fever. The Heath Services Authority said that the results were received late yesterday (11 March) from CAREC showing that three Cayman Islands residents, who became ill in January, did indeed have dengue type 2 and had contracted the virus in the Cayman Islands. However, the Medical Officer of Health has stated that there have been no other cases reported. “We are glad to say that those three persons had recovered by late January, and equally glad to say there are no more suspected dengue cases in the Cayman Islands,” said Dr Kiran Kumar. 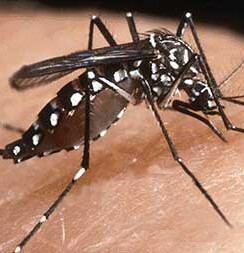 Dengue fever is caused by a virus, transmitted to humans by the bite of an infected aedes aegyptii mosquito. Dr Kumar explained that a chain of events likely caused the local cases. Visitors from countries with dengue, or residents who returned home from those countries, could have contracted mild, undiagnosed cases of the illness. Mosquitoes here probably picked up the virus, and then transferred it to the three local persons, who later tested positive for dengue. Despite the fact that there are no other suspected cases in Cayman, Dr Kumar noted that anti-mosquito measures are continuing, led by staff from the Mosquito Research and Control Unit (MCRU), and the Department of Environmental Health (DEH). Both public and private health practitioners are being vigilant in monitoring for dengue. “If we encounter a suspected case, we again will send samples to CAREC for testing,” he said. Dengue symptoms include high fever; severe headache; backache; joint and eye pain; nausea and vomiting; and rash. Most people recover without any complications, using pain relievers and bed rest. Dr. Kumar added that once the patient has developed a fever, the infectious period lasts for only one week. Although Public Health officials expected the test results in early February, they were received only yesterday. The samples initially were sent to CAREC, which then sent the samples to the Centres for Disease Control in Puerto Rico for confirmation. However, the CDC lab was extremely busy because of an outbreak of dengue there. To reduce the aedes aegyptii population in Cayman, the public is urged to clear yards of containers that can hold water, as these are favourite breeding sites. Dr William Petrie of the MRCU recently confirmed that the mosquito which can carry dengue fever is not impacted by aerial spraying as it does not live in the swamp or brackish areas but in more urban areas in yards and gardens hence the best line of defence against this pest is for property owners to eliminate all possible places for stagnant water to collect. For more advice on mosquito control, contact MRCU on 949-2557 in Grand Cayman, or 948-2223 on Cayman Brac; and DEH on 949-6696 in Grand Cayman, or 948-2321 in Cayman Brac. (CNS): Proceeds from the recent Yellow Pages Open Charity Golf Tournament, held at North Sound Golf Club, will be shared between Estella Scott Roberts Foundation and the Yellow Pages Junior Golf Club. A release from Yellow Pages says the event was a resounding success with a sold out tournament in which golfers enjoyed a spectacular day on the coursewhile raising more than CI$10,000. The contributions were made by sponsors, player’s fees and by innovative sponsors at different holes on the day.vThe BCQS team (Tim Hepburn, Neil Purton, Jeremy Superfine and Michael Baulk) came in first place. LIME team (Above – Dawyne Mellaneo, Deanna Bidwell, Jessica Swinamer and Brian Esau) were in second placeand DMTC team (John Lewis, Henry Smith, Joel Dodson and Gordon Rajamohan) came in third place. Jennifer Frizzelle, winner of the Longest Drive Women and Closest to the Pin, took home a year supply of Heineken provided by Jacques Scott. Derek Bolingbroke won the Longest Drive Men and Lindsey Bridgeman won the Straightest Drive. The major sponsors of this event were LIME, Jacques Scott, Harbour House Marina, Arch Automotive, Mise en Place and Cayman Property Management Services. Thank you very much for your support. Unfortunately, nobody was lucky enough to walk away with the beautiful 2010 Audi or the incredible 26ft Sea Ray Sundeck, however participants did win great spot prizes. Our special thanks as well to the Ritz Carlton, Comfort Suites, Red Sail Sports, Guy Harvey’s Island Grill, LUCA, LIME, Jacques Scott and North Sound Golf Club for their contributions towards the raffle. “What a great way to spend the afternoon and at the same time raise funds to give back to the community”, mentioned Mark Macfee, EVP of Caribbean Publishing Company. “Once again, thank you to all participants and sponsors as their generous support will benefit two very worthy causes,” added Macfee. 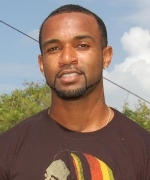 (CNS): One of Cayman’s Olympian athletes, Ronald Forbes, is in Doha, Qatar to participate in the International Association of Athletics Federation (IAAF) World Indoor Championships that kick off today, Friday, 12 March 2010. He will compete in the 60m hurdles. Round one of this event is scheduled for the opening day. His personal best in this race is 7.58 seconds, and his qualifying time for Doha was 7.74 seconds. Ronald ran for Cayman in the 2006 Commonwealth Games, and in the 110m high hurdles event in the 2008 Summer Olympics in Beijing, China. Forbes made it to the quarterfinal in the Olympics but toppled the last hurdle in the race. He finished the second round with a time of 13.72 seconds and an overall ranking of 26out of 30 hurdlers. He was the flag-bearer for his nation during the opening ceremonies of those games. He is currently training at his alma mater, Florida International University. “We wish Ronald well and hope he will be able to clock a new personal best time but regardless, we are proud that he will be carrying the Cayman flag in Doha. Although we have few elite athletes at present, they do play an important part in developing sport in Cayman, both as role models and ambassadors,” said Sports Minister Mark Scotland. (CNS): Despite comments by the premier that government would be asking the private sector to support civil servants who are looking at salary cuts by offering them discounts, many of the entities cited by Bush say they are not in a position to offer discounts. Hurley’s Supermarket was the only grocery store that has publicly stated that it will offer the discount and HSBC said it would look to help with interest rates. Foster’s told CNS that they already cut discount to the wire in their stores and if they had the room for more they would offer it to everyone. CUC also said it did not have the room and neither of the water suppliers have made a decision. In his address to the country on Monday evening before he went to the UK, McKeeva Bush said he was aware that the cuts would hurt and that he would be asking the private sector to help civil servants and the country by asking the supermarkets to give a 10% reduction on their groceries twice a month and for CUC and the water companies give 10% reductions on the monthly bills. Bush also said he would ask Cayman Airways to give 20% on needed travel, and the banks to cut interest. “Everyone needs to help at this time that is the way we can make some changes, Bush told the country. The Consolidated Water Company, which supplies water to the West Bay area of Grand Cayman, said it had not yet been approached by the premier asking for any kind of support for civil servants, but the firm would want to see the details of government’s proposal before commenting. Gelia Frederick-van-Genderen said that the Water Authority did not have any information on the proposal and wouldn’t be able to comment. Grand Cayman’s power company, CUC, also said that it was not in a position to offer the discount as it did not have the financial resources or margins to grant any further rate reductions following the rate freeze that was in place from 2002 and the rate reductions given in January 2008. Meanwhile, Johnathan Tibbetts at the Cayman Brac Power and Light Company told CNS that while the firm was not offering a direct discount on bills, the firm’s pre-paid system could help all customers save. 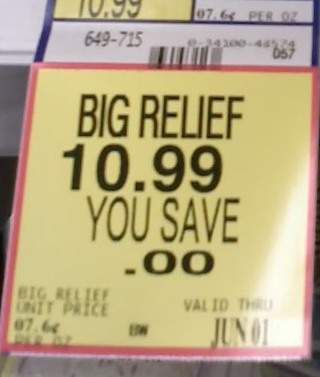 He explained that all customers who switch automatically get a 3% discount but the savings can be as much as $30%. Tibbetts explained that the firm had received a number of calls recently from civil servants wanting to switch to the metered system, which he said really helps customers save on power bills as they can monitor their use of electricity much more effectively. “We encourage any civil servants who are concerned to contact us. Once they switch they will save money. We now have over 500 people on the pre-paid system and they have all saved money,” Tibbetts added. CNS contacted a number of banks but most were not available for comment with regard to rate cuts. However we were able to reach HSBC, which said it would be willing to assist public sector workers. "HSBC is committed to the Cayman Islands and fully understands the economic challenges faced by the country,” Chief Executive Officer, Gonzalo Jalles said. “Accordingly, through 30 June 2010, HSBC Cayman is willing to offer members of the Civil Service a discount below the weighted average lending rate in the Cayman Islands, to refinance mortgages or loans, on a case by case basis and subject to good credit history." Butterfield bank also issued a statement explaining its position. CNS also contacted Cayman Airways but was unable to reach anyone able to comment. (CNS): Police confirmed this morning that the they have now traced the missing teenager who went missing from her home in West Bay over one month ago. 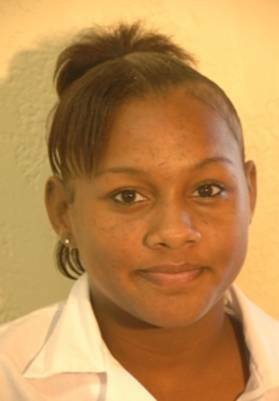 “Yesterday evening Tamara was traced safe and well by RCIPS police officers in the Rock Hole area,” a police spokesperson said, adding that enquiries into the circumstances surrounding her movements over the past four weeks are ongoing. Tamara Smith’s parents reported her missing to the police after they discovered that the fifteen year old was missing. This is not the first time that Tamara has run away from home and her mother recently made a public plea to her daughter to come back. Speaking to News 27 last week, Jann begged for her daughter to come back saying whatever troubles were between them could be resolved. Tamara left home on 7 February taking some of her belongings with her and she has not made any contact with her parents since. (CNS): The man charged with the murder of 4-year-old Jeremiah Barnes last month at the Hell gas station in West Bay has now secured a defence attorney to represent him. Devon Anglin made his third court appearance on 11 March since he was charged with the murder of the child and a number of other firearms offences, as well as an attempted murder. According to a News 27 report, Anglin has not yet made a plea with regard to the murder charge but he is due back in court next Thursday, 18 March. Until Anglin’s barrister, Alastair Malcolm QC, arrives in Cayman Clyde Allen will act on the 24 year old’s behalf. Anglin was arrested literally hours after the killing of Jeremiah along with one other man. Another two men were then arrested a few days later. Anglin was eventually charged with the murder while the other three suspects were released.